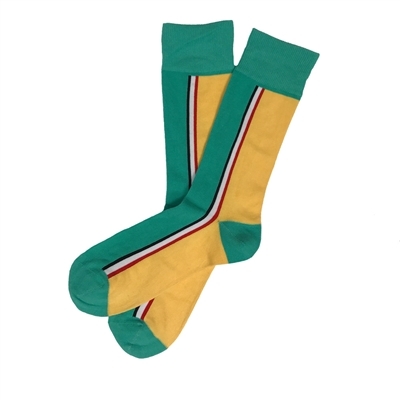 Vertical stripes and bold colors keep your socks unique. This sock was designed by Donghwan Kim. Donghwan Kim was 1 of 3 design winners voted on during The School of Sock 2017 Design Contest. This color combo was unexpected but comes together beautifully in a sock that can be pulled off in denim or in a Sunday suit. Love the Kim!